The city of Modica is divided into two parts: Modica Alta and Modica Bassa (pictured here). Modica Bassa is a shorter hillside division than Modica Alta (i.e., a taller hillside). These opposite hills, once dotted with cave dwellings, are now seas of ivory-colored, Baroque buildings. 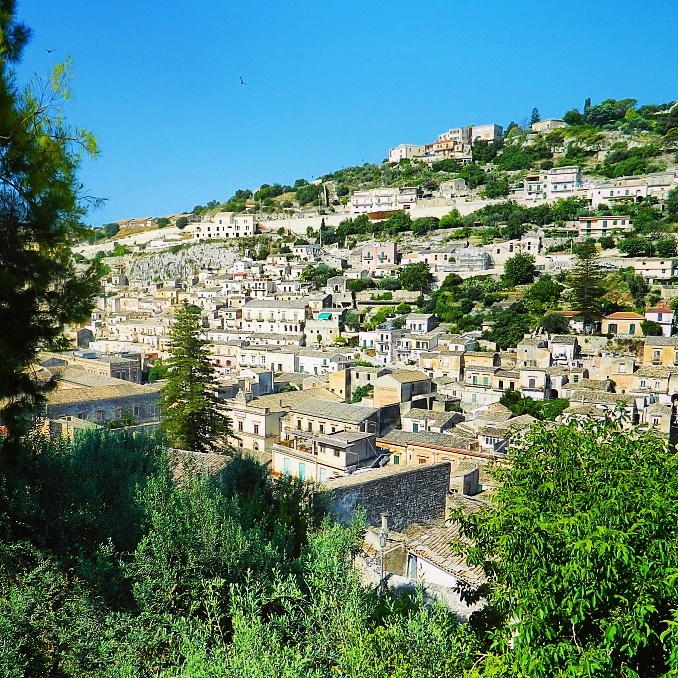 Outfitted with pedestrian staircases and alleyways, Modica is not automobile-friendly. Leave your car on the main, flat-land artery, Corso Umberto I, and walk to your destinations!